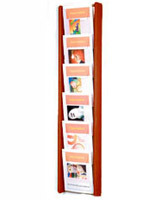 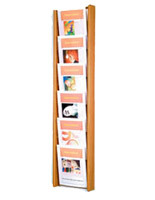 This 6-pocket wooden literature rack is mounted to walls and takes up a small amount of space for such an organizer. 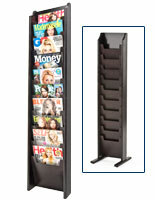 The magazine holders are able to display information in full view of customers because of their deep pockets and acrylic front. 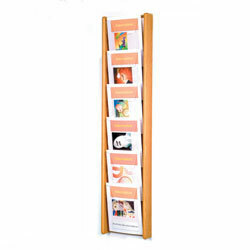 The wooden literature rack with light oak finish has the ability to be placed into many color palettes due to its versatile shade. 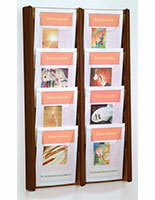 Wall mounted displays save floor and counter space by hanging on walls. 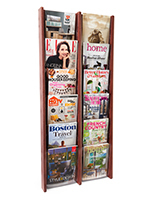 The rack has notches cut into the acrylic front on the slots to allow easy access to stored reading materials. 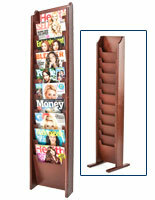 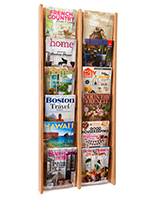 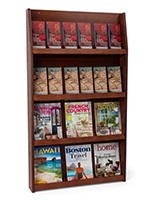 The oak magazine holders are durable and will hold up in busy reception areas or retail shops visited by lots of patrons.